Grilling on Independence Day is a tradition for many. And while the aroma of grilled food wafting through backyards and neighborhoods is a time-honored part of the July 4th experience, cooking outdoors isn’t always an option. The good news is you can still create plenty of culinary fireworks right in your kitchen. 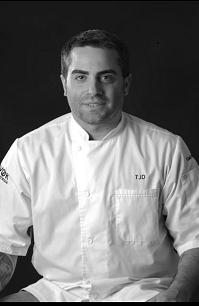 We talked with Chef Thomas J. “TJ” Delle Donne, assistant dean of culinary relations and special projects at Johnson and Wales University in Providence, Rhode Island, to get his insights on planning and executing a Fourth of July meal without the grill. In our last post, we looked at how to prepare traditional July 4th favorites like hot dogs, burgers and barbecue indoors. Delle Donne recommends looking at local cultural influences and ingredients to add a unique twist to your Independence Day celebration. The flavor of smoked vegetables can be brought inside as well. “If you have a good hood system in the house, you can smoke on the stove top. Smoked mushroom salad is delicious. You can smoke your sliced summer squash, your corn. I use a four-inch pan, use a steamer-type basket that fits in that pan, soak wood chips and use the perforated pan in that rack. Put it on the range in a low heat and let those wood chips smoke. Have good vents.” Delle Donne doesn’t recommend this technique for meats. Grilling and the Fourth of July are as tightly wound together as Christmas and snow. But just as it doesn’t always snow on Christmas, sometimes grilling isn’t an option. Maybe it’s a rainy Fourth or you don’t have the outdoor space. Never fear! You can still satisfy your desire for patriotic, culinary summer classics right in your kitchen. 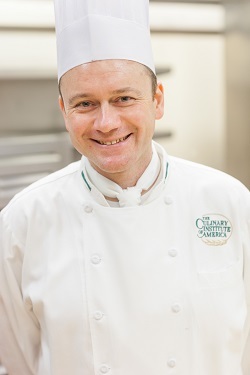 the Culinary Institute of America in New York. As a meat specialist who spent 15 years living in New York City apartments, he’s the perfect candidate to teach a crash course in celebrating America’s independence without a grill. Hot dogs: Ross’s New York City roots have made him a fan of the “dirty water” boiled hot dog, which is easy to prepare on your range. “If you want to do a bunch of dogs at the same time, put a pot of water on, add some salt to preserve flavor, keep the water right below boil. You can keep them there as long as you want.” Add sliced onions or beer to the water to add flavor. However, if you’re determined to replicate a grilled hot dog, consider cooking it on an indoor electric grill or a panini press. “Take the dogs, split them lengthwise, and put them on the grill. You’ll get the grill marks and crispy skin.” As a last resort, put the hot dogs under the broiler until they start to blister, Ross says. Burgers: Attaining the outer crust that comes with a grilled burger is more challenging indoors, but still possible. “Whatever you’re cooking it in has to be very hot,” Ross says. “I recommend, if you have it, a cast-iron skillet. Preheat it until it’s smoking hot. Brown the burgers on both sides. If you want to cook it more, put it on a cookie sheet, in a hot oven until it’s done. You won’t get that smoky char, but you have a little more control and won’t have to deal with flareups or fire.” The faster you brown outside, the more moist the inside will be, Ross says. Make sure you cook ground beef until the center reaches at least 155 degrees Fahrenheit. Clearly, a lack of a grill is no reason to skip that tasty, traditional Fourth of July cuisine. From your oven to your slow cooker, your appliances will give you the tools you need to cook up a memorable holiday meal. What’s the biggest barrier to healthier eating? Certainly, willpower and determination are factors. But according to Isabel Maples, a registered dietitian practicing in Virginia, the biggest challenge for many is planning. Whether you’re preparing fresh meals or storing them to eat later, your appliances can help you get on the path toward healthy eating. We recently spoke with Maples and another registered dietitian, Marina Chaparro of Nutrichicos in Miami—both spokespeople for the Academy of Nutrition and Dietetics—to get their thoughts on the role appliances can play in healthy eating. Here’s what they had to say. Think in advance: Dinnertime comes quickly, and you can anticipate those days when you’ll be short on time for planning by having go-to meals that can be prepared quickly. “You need to have at least three on hand that you can get on the table quickly,” Maples said. 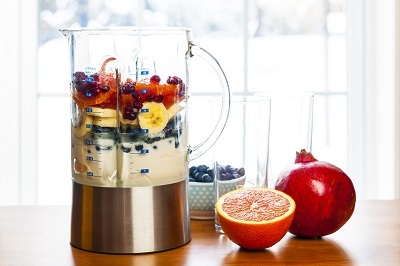 If you’re using a standard blender, consider the size, Maples said. “That controls how much you put in. Don’t make too much or not enough.” Chia or flax seeds can add texture to a blended drink. “It can be as simple as some chocolate milk and a frozen banana,” Maples said. Tastier veggies: Vegetables can sometimes be tough to sell for picky eaters. Your oven can make them tastier. “Many people may not know how to make vegetables flavorful,” Chaparro said. “If you use the oven—roasting or baking at 400 degrees for short periods of time—it caramelizes.” Add olive oil and fresh herbs for more flavor. “I find that people who don’t traditionally like vegetables will eat vegetables if they’re roasted. It’s just a different flavor dimension and brings out some of the sweetness in the vegetables.” Maples encourages people who don’t want to take the time to chop the vegetables to buy a food processor for easier vegetable prep. Organization and preparation are essential to healthy eating, Chaparro said. “We might just think it’s about food and choosing healthy things, but it’s about creating that environment. Put the healthy things at eye level, especially the fresh fruits and veggies.” Make sure you have the right prep tools as well. Chaparro has her favorites, including a mandolin slicer that she uses to make zucchini, sweet potato chips and beet chips, and a noodle slicer, which she uses to substitute vegetables for traditional pastas. 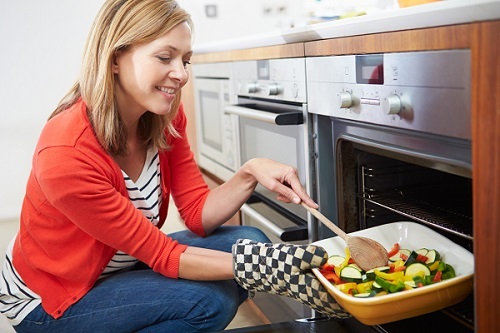 AHAM will dive deeper into the connection between healthy eating and appliances during our June 29 #AHAMHealth Twitter chat. Join appliance manufacturers, nutrition professionals and others from 2-3 p.m. and tweet using the hashtag #AHAMHealth. See you there! Weather experts are suggesting that much of the U.S. could see higher-than-average temperatures this summer. It’s easy to forget what a heat wave feels like until it happens. However, you’re already behind the cooling curve if you wait until temperatures approach triple digits to shop for an air conditioner. Plan now, before portable and room air conditioners fly off the shelves and you’re left overheated and longing for autumn’s cool relief. You’ll find many models and brands on the shelves of appliance retailers. Choosing the right one involves more than just looking at price and power. You’ll need to know a bit about the area you’re trying to cool. This is important. Buy too strong of a unit for the room size and you’ll use more power than you need. Take home a unit that doesn’t have enough capacity, and you may end up sweating (and, perhaps, swearing) while you use too much energy as your unit runs continuously but never quite cools the room. Check your measurements: Your first step is to figure out how much cooling power you need by determining the square footage of your room. Measure your window as well and take the measurements with you when you shop. Both portable and room air conditioners need to be connected to a window, and it’s important to make sure it will fit before you bring your new AC unit home. Finally, if you’re buying a portable air conditioner, it will take up floor space. Consider whether the physical size of the unit is appropriate for the room. Choose your capacity: Air conditioner capacity is measured in BTU (British thermal units). Check the unit labeling as you shop. You’ll likely see a chart with BTU and the appropriate room size for cooling. Choose a size appropriate for the room or rooms you’ll be cooling. If you are placing the unit in a kitchen, sunny room, or room with high ceilings, you may need to size up. Some manufacturers may also have capacity information available on its website. Speaking of capacity: If you’ve purchased a portable air conditioner before, you might notice that this year’s capacities seem lower than you remember. The difference is due to a new test procedure developed by the Department of Energy. The procedure takes different factors into account and generates a lower number to indicate capacity. However, the actual capacity has not changed—the difference is simply due to the different test procedure. 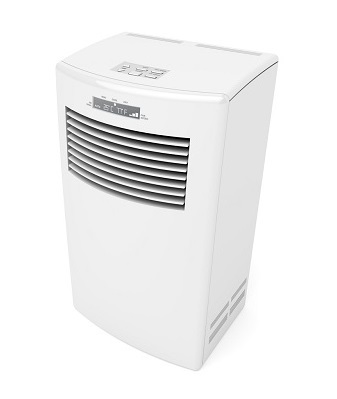 Frigid features: Smart technology is being incorporated into portable air conditioners. Some units can be turned on or off via smartphone or tablet, so you can come home to a cooler space on a hot summer day. Others offer a “follow-me” function that measures the temperature both at the location of the unit and of the remote control. If you’re sitting across the room from the unit and holding the remote control, the unit will take the temperature in the remote into account and adjust its output based on both temperatures. Other features you might find are programmable timers and alerts that tell you when the AC filter needs to be changed. What’s your plan for staying cool this summer? You know the routine: Open the refrigerator, put the item wherever you can find enough space, then quickly close the door. If this sounds familiar, you’re not alone. It’s how many people organizetheir refrigerator. While that may work just fine for some, it’s also a recipe for scattered meal planning and potentially wasted food. And the cost of food waste adds up, with a recent estimate by the American Chemistry Council putting it at $640 per year, per household. 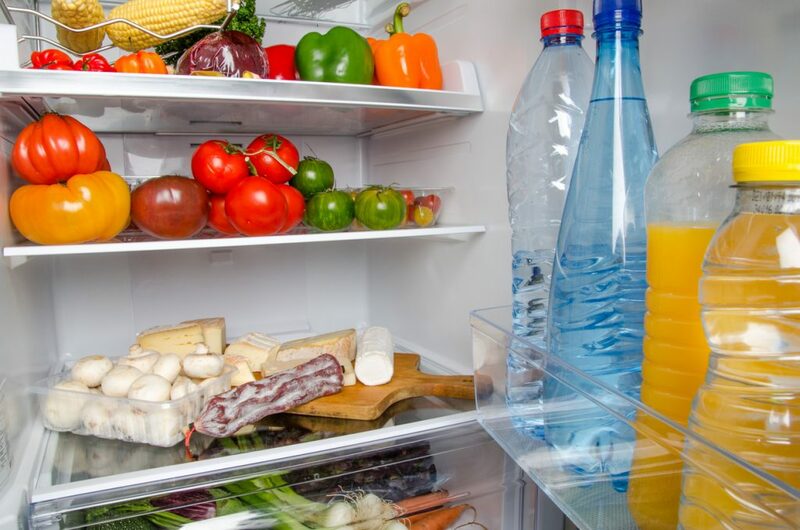 Organizing your fridge can make sure more of your food ends up in your belly instead of in the trash. It also means less wasted money on food you aren’t eating. We reached out to Becky Rapinchuk, the cleaning and organization guru known on the Web as Clean Mama, for her tips on organizing the fridge. The most common mistake people make in refrigerator organization is putting food where it fits instead of a space that makes sense, Rapinchuk says. She recommends putting food that’s already opened in the front of the refrigerator to make sure you’re using the oldest food first. You have a number of options for storing food in the refrigerator, but clearly label what you’re putting there. Rapinchuk prefers glass containers for leftovers and labels them (using freezer or washi tape and permanent marker) with the date they were put into the refrigerator or freezer. Rapinchuk, who’s a mom of three, makes a weekly meal plan and shops on the same day every week (Friday is her preferred day.) Shop according to what you have planned, and prepare what you can in advance. Before she leaves for the grocery store, Rapinchuk straightens up the refrigerator and wipes down the shelves. The refrigerator gets a thorough cleaning once a quarter. There are other benefits to organizing your refrigerator. If you make it easy to find the food you’re looking for, you’ll be less likely to get frustrated and order takeout instead. How do you keep your refrigerator organized? Share your tips in the comments! During a redesign, your appliances, cabinetry and counter space work together to create a balance between function and style. Choices like the size of your range and other appliances can directly affect cabinet space, and choosing more storage or counter space could mean you’ll have to make concessions elsewhere. 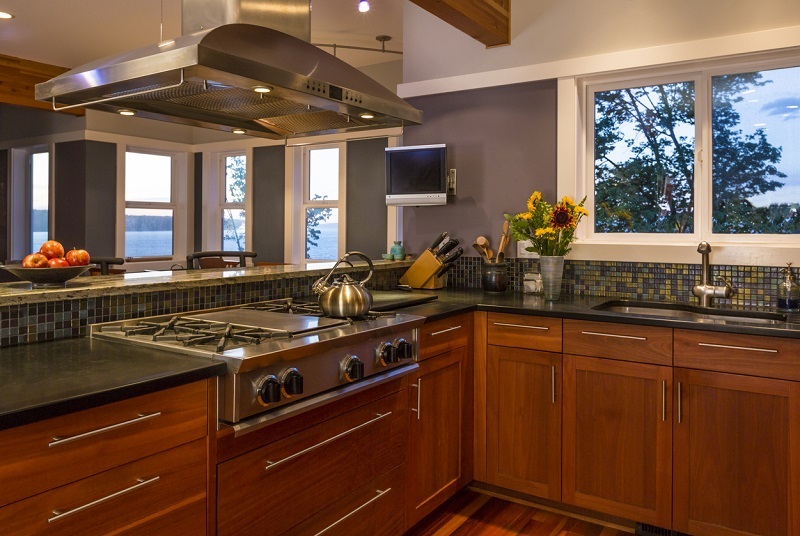 Kitchen design is a personal process, and while there are plenty of trends to go around, each design and redesign is unique and shaped by homeowners’ preferences, personality and desires. We spoke with two designers who have a combined 50 years of kitchen design experience between them. Both agreed that kitchens are built around the appliances, where any design project should start. Your choice of appliance, particularly the size, directly impacts the cabinet design. “It’s one of the most critical points,” Kennedy says. Cabinets take time to build, and they need to be ordered early in the process. 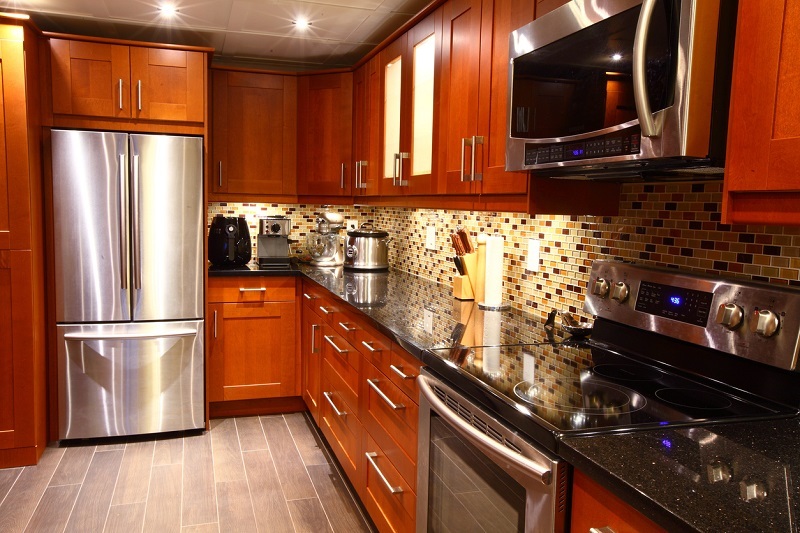 A late change can affect how the cabinets and appliances fit. Be comfortable with your decisions, because even a quarter-inch difference in the size of an appliance can have major implications on the cabinetry. 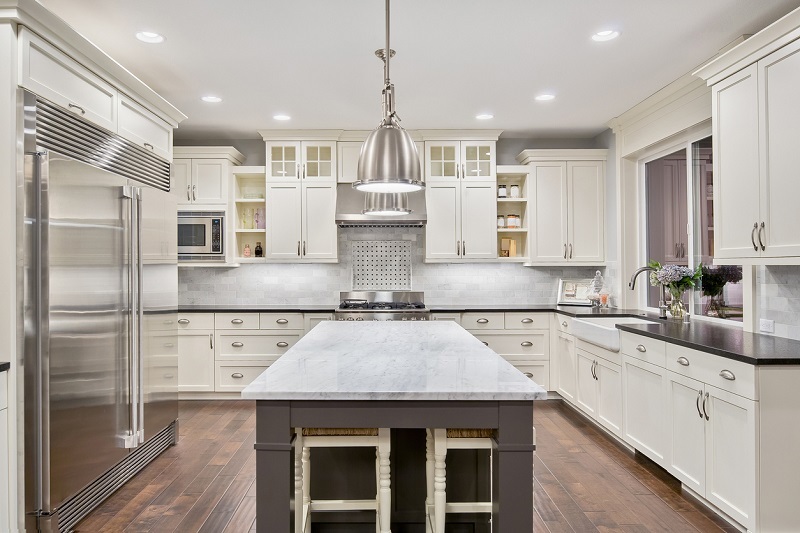 Does your dream kitchen design include appliances enclosed in custom cabinets? You’ll need to decide in advance, as panels must be an exact fit. For portable kitchen appliances, it’s a matter of balancing countertop space for their use and kitchen storage. “People love their small kitchen appliances, but storage for those is a nightmare. When I walk into a house and see them all on the countertop, I have the challenge to properly design space for those countertop appliances so it’s not an eyesore, it’s not cluttered, it’s functional and not taking up counter space.” Talk to your designer about storage options that make it easy to access the appliances you use regularly and store those you use less often in a way that makes sense. “The style of the appliance, along with the architecture of the home and ventilation are really important.” Your lifestyle should determine what you need, Sabatino says. Some factors to consider are cooking habits, diet and family size. “A family that goes to Costco and Price Club and buys 130 boxes of pasta will need more pantry space than somebody who buys fresh food,” Sabatino said. “Somebody who keeps a kosher kitchen may have two sets of dishes.” Do you do enough entertaining to warrant including a second dishwasher? Put your priorities in order and allow them to guide your decisions. Also think about what you’re giving up when planning how to incorporate portable appliances. If you drink a lot of coffee, you might want to reserve some space on the countertop for your coffee maker. But that also means you’ll have less counter space. Designing cabinet space especially for portables means you’re limiting what can be put in that space, Sabatino says. Do robots live among your appliances? There’s a growing chance at least one type does. Sales of robotic vacuums and cleaning robots are expected to grow from $981 million in 2013 to $2.6 billion by 2020. And the innovations keep coming. New features like cameras, voice controls and improved navigation have taken robotic vacuums from a novelty to a fixture in floor care. So what does one need to know before turning over vacuuming duties to a robotic partner? Robots have come a long way in floor care, but they’re still widely considered a supplement to, not a replacement for traditional vacuums. They can’t yet climb stairs, but they can sometimes reach areas that are hard to get to with traditional vacuums, like deep beneath furniture. They’ll take longer to clean a room—about 30 to 90 minutes, depending on the robot and the size of the room—but they can also do it on their own, whether or not you’re there to supervise. 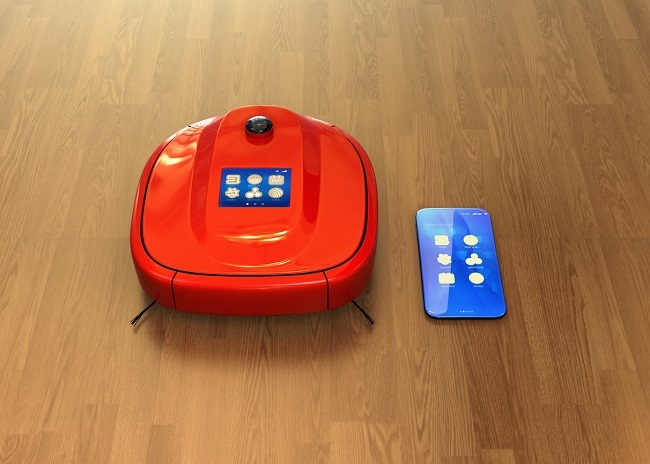 The hundreds of robotic vacuum models on the market offer different features. They use different methods to find their way around a room, using laser, cameras or infrared sensors. They may have different work capacities or perform better on certain surfaces. Some models use lithium ion batteries, others use nickel metal batteries. Break down barriers: Take a look around the area you’re going to vacuum, and remove any potential obstacles. Even a sock or something smaller on the ground can interrupt cleaning, particularly if the robot tries to vacuum it. Remove any items that could get stuck in your robot’s rollers and cause an error. 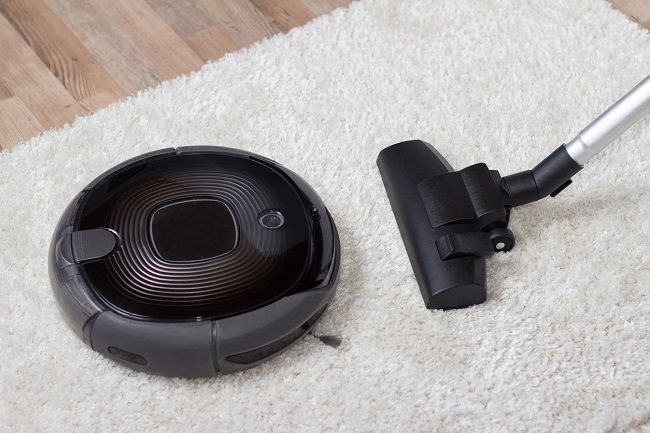 Remove the cords: Just as you would with traditional vacuums, make sure the area being cleaned is free of plugs and power cords that the robot may try to vacuum. Keep it confined: A robotic vacuum goes where you allow it to go. Close doors that might lead it to another area that does not need to be vacuumed, or use the technology features to keep it within a certain range. Welcome it home: Many robotic vacuums will automatically make their way back to their charging station when their power starts to drop. Put the charging station in an area that’s easy for the robot to access. Keep the robot clean: Keep your robot’s sensors and other navigation tools free of debris, as it can interfere with navigation. Empty the robot’s dustbin after every use. Make sure filters are clean and replace as necessary. Robots are slowly making their way beyond vacuuming into areas like mopping and air purification. 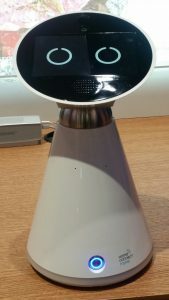 Automation is becoming part of appliances, with many new models incorporating voice controls and the ability to adapt to our habits. Are there any tasks you would be happy to hand off to a robot? Let us know in the comments! Most people are accustomed to interacting with their appliances through the push of a button, turn of a dial of flip of a switch. Soon, that’s likely to change to you simply telling the appliance what you need. 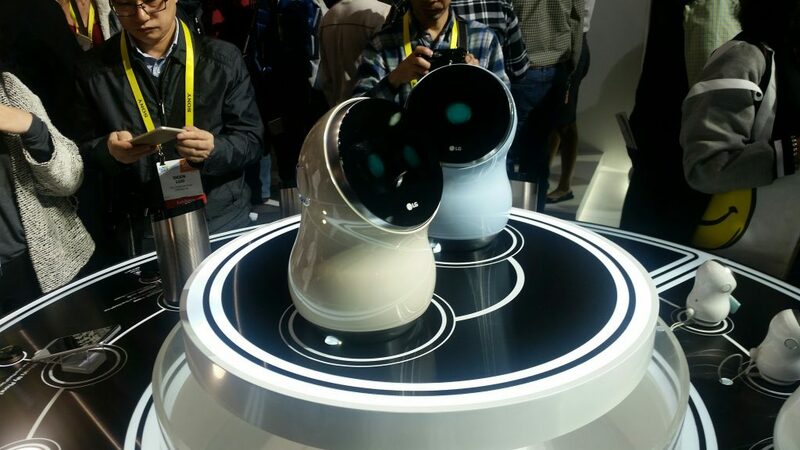 You might talk directly to the appliance, but a number of systems at CES 2017 channeled the interaction through robots or an existing tool like Amazon Alexa. A conversation with an appliance won’t always be one-sided. A robotic vacuum cleaner could politely ask you to move your leg if you’re standing it its way (It can tell that you’re a human.) And the system might remind you when it’s time to re-order groceries or perform another task. Some appliances will also have the ability to adapt to your habits. An air conditioner could learn when more cooling power is needed based on how many people tend to gather in a room at a particular time. Your clothes washer might have the capability to add new wash cycles if none of those initially included with the machine no longer fit your lifestyle. CES 2017 also showed that some refrigerators are becoming serious multi-taskers. Some of the models on display included touch screens to allow you to label food, track expiration dates and order new food when you need it. They’ll also provide entertainment, like music, since families tend to gather in the kitchen. Don’t worry—they’ll still keep your food fresh!